Big Drop Brewing Co is a brewery dedicated to brewing low-alcohol and non-alcoholic beers under 0.5% ABV. 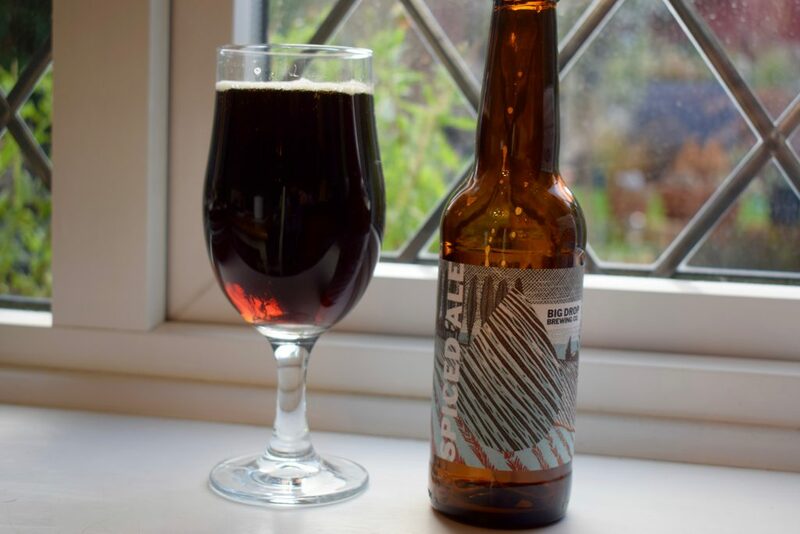 Founded by Rob Fink and James Kindred in August 2016, the brewery is based in Ipswich, Suffolk and brews four core low beers – a stout, a pale ale, a lager and a spiced ale. Rob and James set up the brewery when they realised there weren’t any other breweries in the UK that specialised in zero alcohol or low alcohol beers. They were also disappointed by the zero alcohol and low alcohol beers that were available, and didn’t fancy drinking sugary or bland soft drinks when drinking wasn’t an option. The head brewer at Big Drop is Johnny Clayton, formerly of Bristol craft brewery Wild Beer Co.
Johnny, who has a reputation as an experimental brewer, makes the beers so they have a low alcohol content naturally. This means the brewery doesn’t need to remove any alcohol manually, which negatively affects the flavour and aroma. It also doesn’t halt fermentation, like some low alcohol breweries. It uses lactose to add more body to the beers, as low-alcohol beers tend to be a bit thin. Big Drop’s first beer was their chocolate milk “Stout” (0.5%), initially test brewed on a hired “cuckoo” brewery kit in London. They followed this up with their dry-hopped “Pale Ale” (0.5%), “Lager” (0.5%) and “Winter Ale” (0.5%), which includes cinnamon, ginger, nutmeg and cloves. The brewery has already won several awards for its beers including “Gold” in the International Beer Challenge and “Silver” in the UK round of the World Beer Awards for its stout. The beer was up against full-strength traditional stouts in these competitions. The World Beer Awards also crowned its pale ale as best in the world in the low strength pale ale category.